Coaches should unload directly outside the Main Gardens’ entrance, on Westbourne Road and are requested not to enter the main car park, due to restricted space. Coaches cannot park on Westbourne Road, so if your coach is staying for the day, please park on nearby Richmond Hill Road, where there is unrestricted parking. 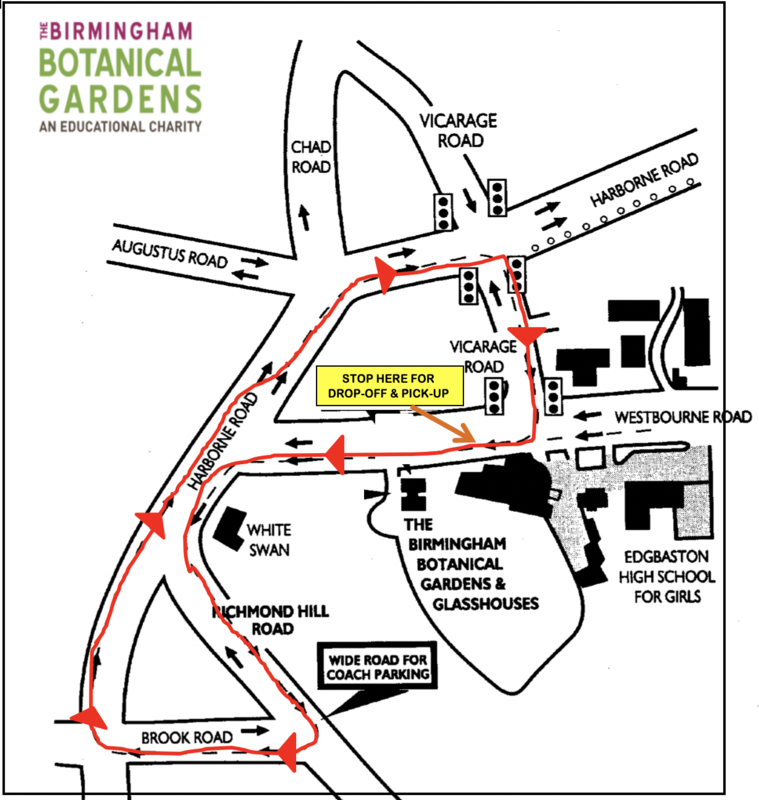 You can then return for collection via the one-way route highlighted in red below.